The first Avocado Light has been presented in Spain. 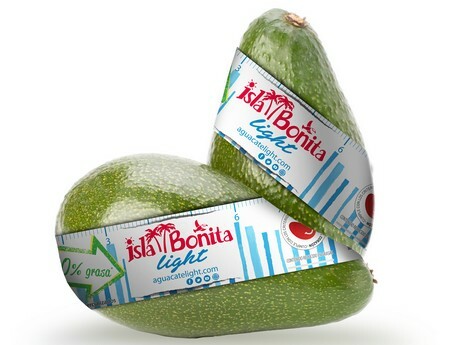 It is a product marketed under the brand Isla Bonita, of Eurobanan, which features a selection of avocado varieties with 30% less fat than the avocados that can usually be found in the market. "We have been importing avocados for decades. In all this time, many customers and consumers who are passionate about this fruit have regretted not being able to incorporate it more often into their diet. Others directly pass up on their nutritional advantages because these don't compensate for their high caloric value," points out Ramón Rey, director of the International and Marketing area of Isla Bonita. "It is our responsibility to bet on fruits with the nutritional properties that our clients and consumers expect, as well as on the new flavours that gastronomy lovers want to experience," he adds. There is currently an avocado craze in many parts of the world, especially for the Millennial generation. It seems that everything that has to do with this fruit is welcome, although some believe that the "avocado fever" is exceeding all limits. "Aguacate Light is of course a daring product. We have launched a light fruit!" Until now, this label was reserved for processed products; never fresh, and this, like everything new, is revolutionary in itself. This variety has a mild flavour and a juicier and lighter pulp that makes it ideal for the preparation of smoothies, cold soup, gazpachos, cocktails, etc. So now, avocado can also be drunk. It is time to rediscover this fruit and experience the many alternatives it offers throughout the day." 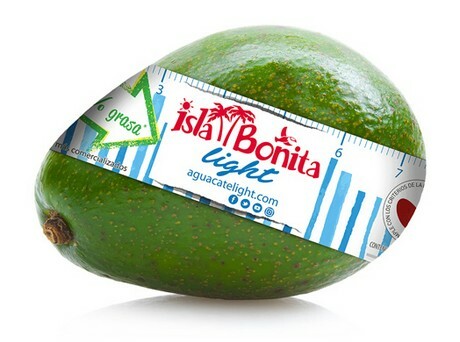 In order to find avocados with a lower caloric content, Isla Bonita has analysed 32 varieties in 6 different countries, and not all have passed the test, only a few. "As fruit and vegetable experts, we know that there are countries whose avocados are different because of their race, variety and climatic conditions. Those avocados, which are common for those countries, have some very attractive nutritional characteristics that respond to these demands. Light Avocados are naturally grown in very specific climates of certain tropical areas, close to Ecuador, in Central America and in South America," he explains. "We studied the consumption of avocados in Spain, where the most marketed variety is the Hass, although other varieties are also consumed. In many cases, they share the physical appearance, but do not necessarily have a lower fat content than the Hass. For example, the Bacon has even more fat than the Hass, and the same happens with other varieties, like the Carla and Lula, which consequently don't qualify. It should also be noted that one variety won't have the same nutritional characteristics in every country, since it has not been cultivated in the same area, and therefore, under the same conditions. In order to make these assertions, it is necessary to conduct very rigorous, meticulous research and have a lot of patience and perseverance," continues Ramón Rey. This launch could attract new consumers and customers. "For the former, it makes it possible to incorporate the fruit more often into their diet; for the latter, especially in the case of the HORECA, it offers more versatility than the conventional for the preparation of dishes, and since it oxidises more slowly, it can be better handled in the kitchen, where temperatures are usually very high." Ramón Rey states that "avocado consumption has recorded an exponential growth in recent years because of its 'super food' status, so its caloric value does not, in global terms, constitute a barrier to consuming this fruit, since in return it offers other great benefits. In fact, Avocado Light is rich in monounsaturated fats. The difference is that it has 30% less." Regarding the use of the "Light" label, he also explains that in order "to confirm our nutritional claims, we subject avocados to exhaustive analyses carried out by independent laboratories." Avocado Light will be available almost all year round in select traditional stores and retail chains, such as El Corte Inglés, Hipercor or Supercor supermarket. "It can also be found in Makro and in regional chains such as GADIS in Galicia, Deza Supermarkets in Cordoba or Hermanos Martín in Seville. In the coming weeks, we will be able to announce new distribution points," assured Ramón Rey. Isla Bonita was a pioneer in the importation of tropical and exotic fruits that used to be fairly unknown and which today have become common purchases, such as pineapples or papayas. "Innovation is part of our brand philosophy. Consumer trends are increasingly focused not only on healthy products, but also on an increasingly personalised supply," concludes Ramón Rey.